Published April 23, 2018 at 2:12 p.m. 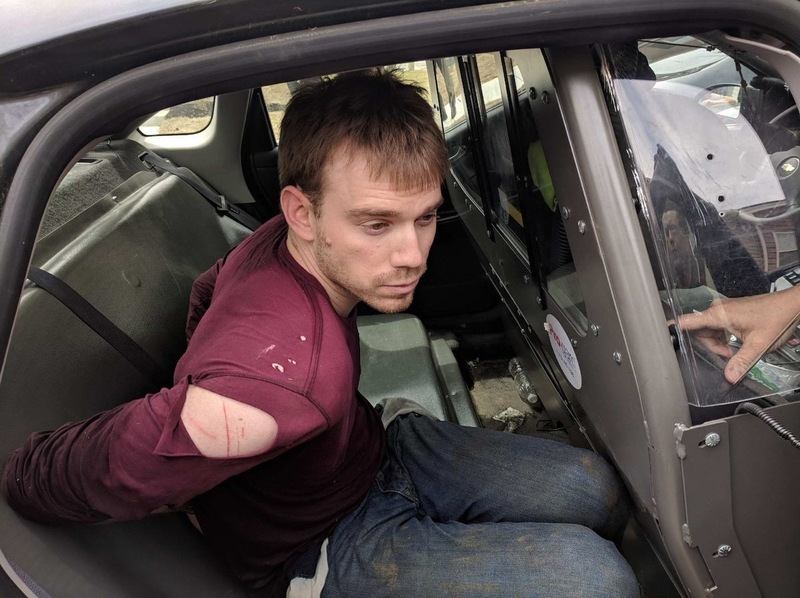 Updated April 23, 2018 at 2:28 p.m.
Travis Reinking appears here in custody in photos released via Twitter by Nashville Metro Police. NASHVILLE, Tenn. (AP) — The suspect in a quadruple homicide at a Nashville Waffle House was taken into custody this afternoon, police said. Authorities announced the arrest this afternoon on Twitter, but did not immediately give details. April 23, 2018 11:34 a.m.
April 22, 2018 3:37 p.m.